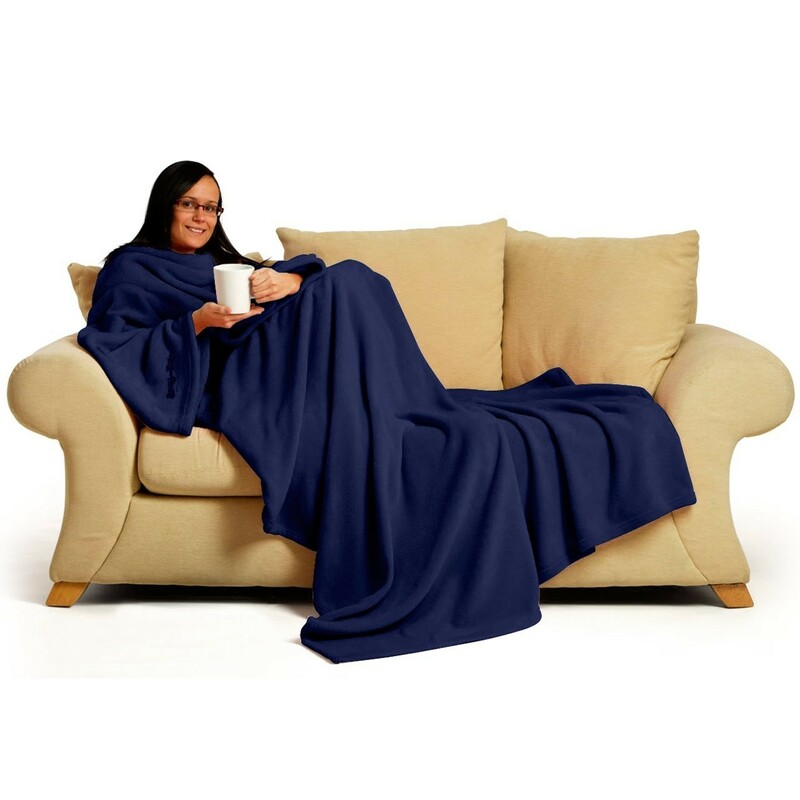 This blanket combines comfort with convenience. It will cover you snugly while in the car, on an aeroplane, at home in front of the TV or even in a cold movie theater. Basically it's a gigantic fleece blanket with sleeves. It was designed in a very cold part of America by a student who lived in a very cold apartment and had problems using his lap top in conjunction with his blanket. Re-writing the map of blankets for ever. Eureka! A blanket with sleeves. Not only is it hugely luxurious and comfortable but it is also practicle. It allows the owner to keep snug and cozy (even in pretty chilly flats) whilst reading, using a laptop etc. It makes a great gift for anyone trying to keep warm or save money on their bills!